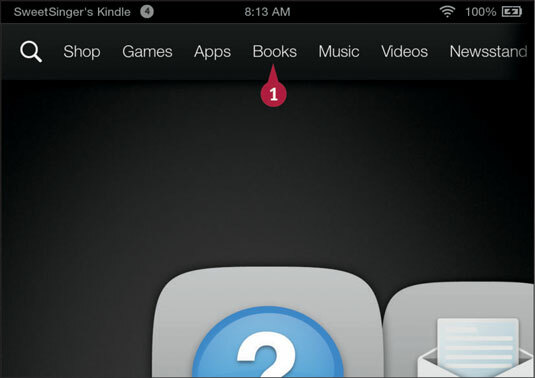 From the Home screen, tap Books. The Books content library appears. 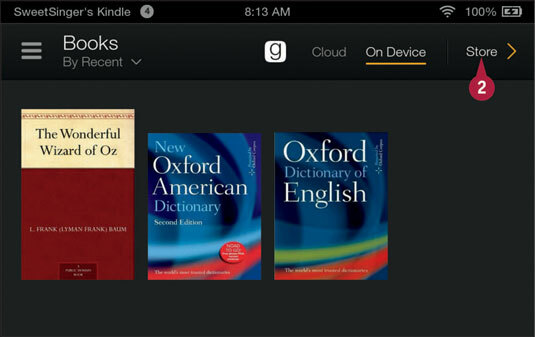 You can tap the Search button to type a phrase to search for a book. You can swipe up to scroll down and find books. 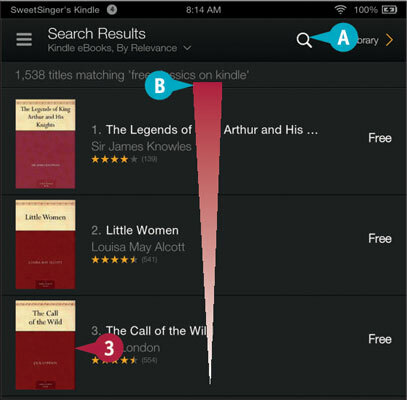 Tap a book to review its details. The product page for the book appears. You can swipe up to scroll down and review details. For free books, tap Buy for Free, and the book downloads to your Fire tablet. 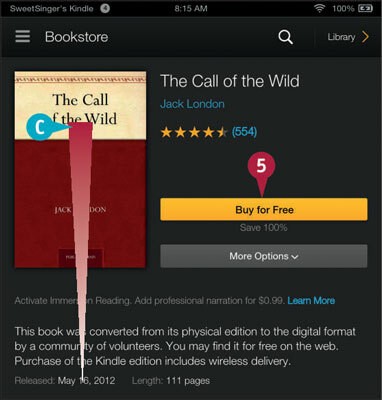 A link to the book appears in the Books content library and on the Home screen’s Carousel.